“Before January 2018 my garden was a sea of invasive veldtgrass (Ehrharta erecta). 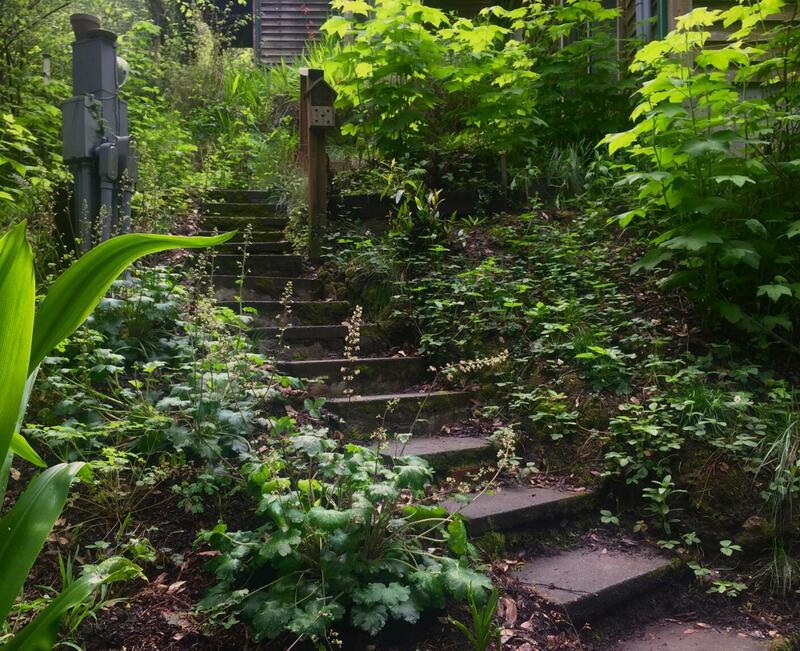 But with lots of dedicated weeding and the right native plants, my home tucked away in the redwoods, is starting to look like the ethereal woodland oasis I always dreamed of. “This time of year, while the soil is still wet from the rains and the temperatures are still cool, I prepare my garden for the warmer seasons ahead. I plant my potted plants, and last minute divisions like Woodland Strawberry, Yarrow, Yerba Buena, Redwood Sorrel, and Seep Monkeyflower. I spread mulch around my plants to retain the soil’s moisture and suppress pesky weeds. And with the combination of wet soil and warming temperatures I keep a close eye out for common pests like white powdery mildew, which is best dealt with early and with a solution of neem oil and water. Preparing the garden for spring is an important yet enjoyable task for keeping your natives happy and healthy for years to come. 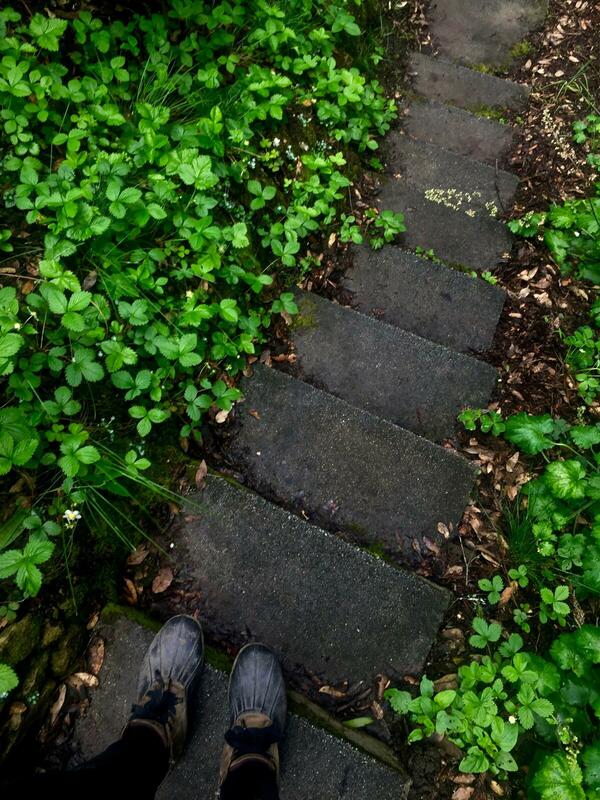 "Woodland strawberries, red fescue, and redwood sorrel planted along my steps help prevent erosion in this area that was once covered in invasive grass." 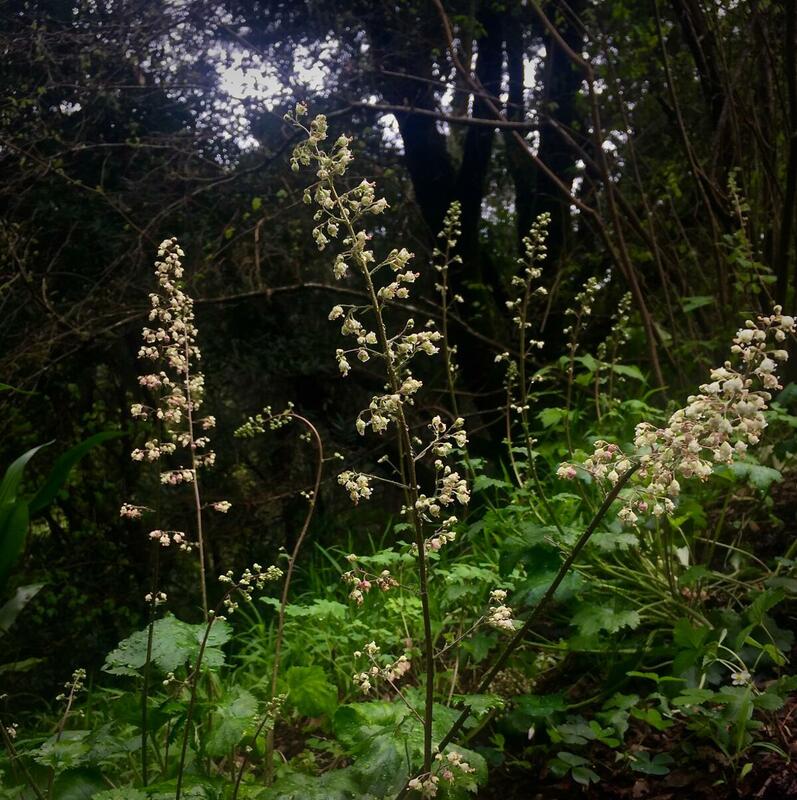 "Woodland strawberries and naturally occurring mosses working together to keep the soil in place." 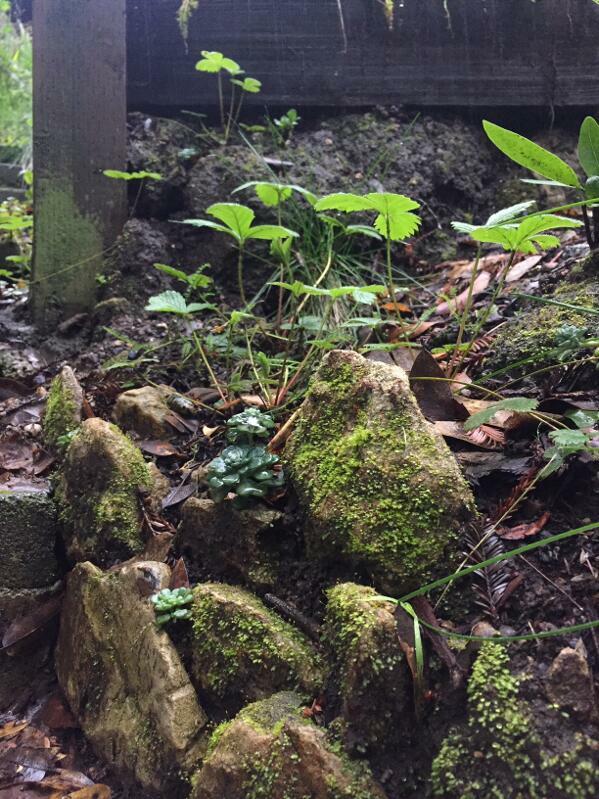 "Woodland strawberries and stonecrop in my mini rock garden." 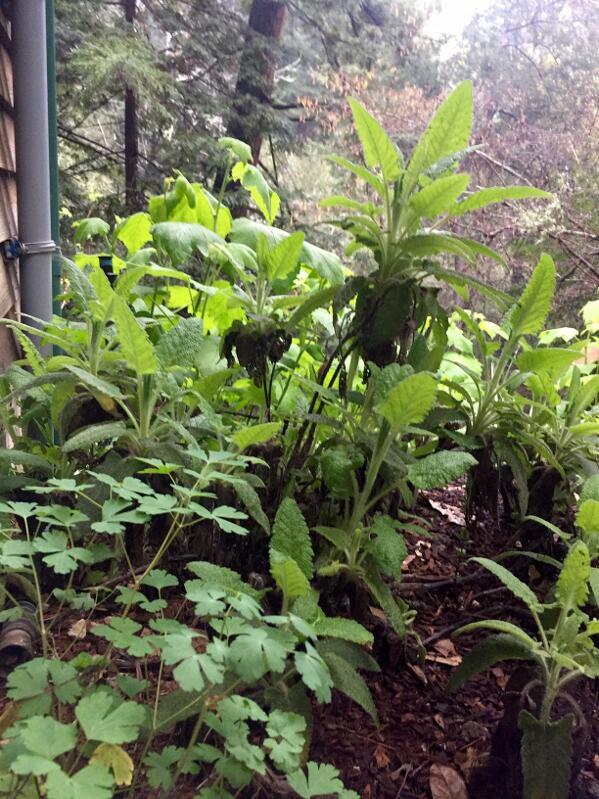 "As these thimbleberries grow they will create a low screen for our front porch. Also pictured is some yerba buena decoratively draping over a wooden embankment." 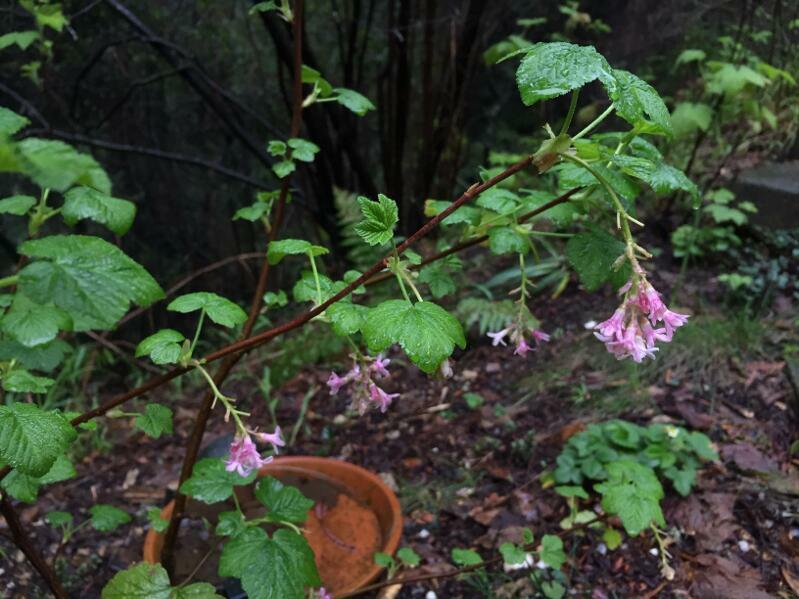 "Redflowering currant has beautiful pink flowers and berries that attract hummingbirds, butterflies, and fruit eating birds." "In the summer this hummingbird sage and crimson columbine will be full of magenta and crimson red flowers that the hummingbirds will go crazy for." 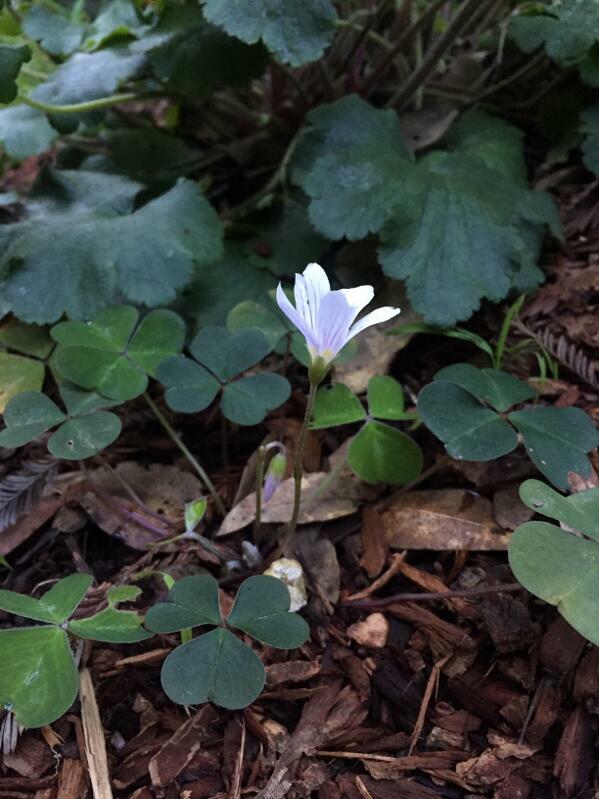 "Redwood sorrel has beautiful white to light pink flowers and spreads through underground runners called rhizomes to create a lush groundcover." 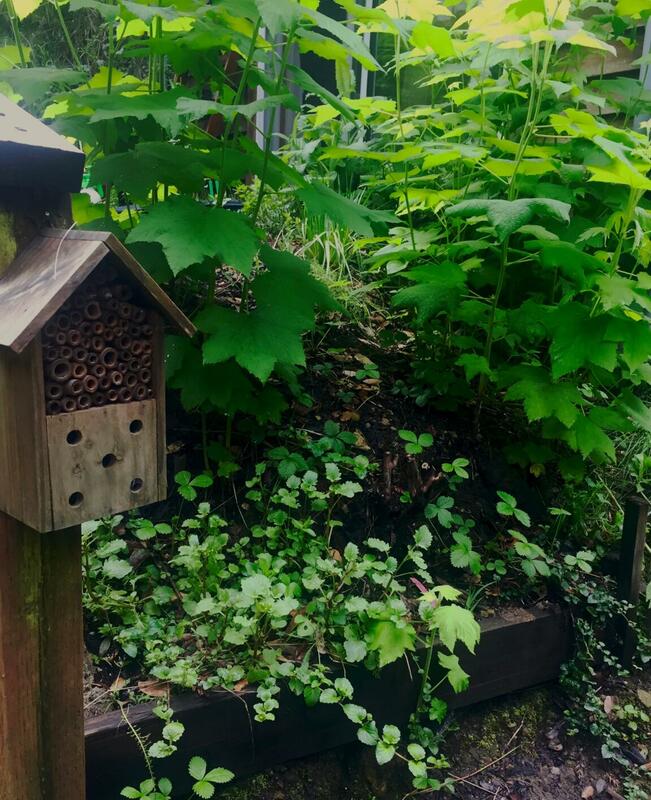 "As the weather warms and the sun peeks through the trees, more flowers will begin to bloom and provide food for pollinators and birds."